A favorable 12-month outlook for changes in personal net worth and after-tax income among the wealthiest 10 percent of U.S. households surveyed by the American Affluence Research Center was revealed in its new Millionaire Monitor Report. The report is based on the 27 edition of continuous surveys of the wealthiest 10 per cent of U.S. households based on net worth, which now number 12 million households with a minimum $1 million net worth. The assessment of current and future business conditions, as well as expectations of the stock market, reflect a more positive view of the economy than last fall. This is contrary to the conclusions of some other researchers and despite the volatility in the stock market and the global economic uncertainty in September when the survey was conducted. The favorable outlook for personal net worth and income is a positive factor for potential increases in spending by the affluent, who account for about 40 percent of total consumer spending. Responses to the expected change in spending for vacation travel are reported as indexes, which are calculated by subtracting negative responses from positive responses. Index values range from 0 to 200. The value of a neutral (or “same”) response is 100. An index value of 100 means equal and negative responses. The index for change in spending on international vacation travel (109) is at its highest level since setting a record high in Spring 2006 (112). The record low for this index is Spring 2009 (69). Almost a third (31%) in the new survey said they would spend more during the next 12 months and 23 percent said they would spend less. The index for change in spending on domestic vacation travel (119) is even stronger and near its record high in Spring 2004 (126). The record low for this index is Spring 2009 (84). About 31 percent said they would spend more and only 12 percent said they would spend less during the next year. For both domestic and international vacation travel, those most likely to spend more are under age 50 and in the higher income ($200,000 or more) and higher net worth ($2 million or more) groups. Almost one in five (18 percent) of the respondents plan to take a cruise during the next 12 months. This is a strong improvement from fall 2014 (13 percent) but remains below the record high in fall 2007 (22 percent). Those most likely to cruise during the next year are the age 60+ and higher net worth (especially $8 million or more) groups. 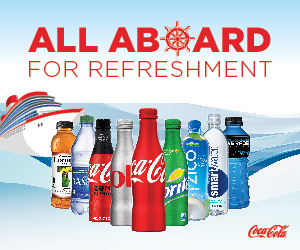 These intentions to cruise represent a total of 4.4 million cruisers during the next year. This is almost 40 percent of the total U.S. market of cruisers in 2014. 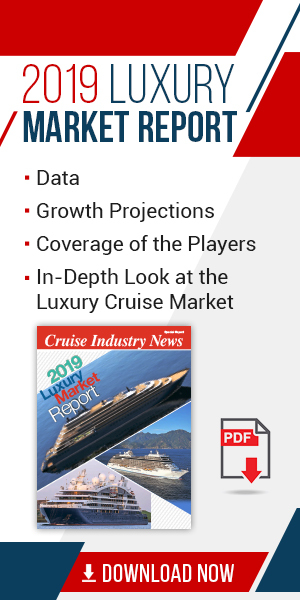 Another 7 percent of the respondents, representing almost 1.7 million additional cruisers, were still undecided about taking a cruise at the time of the survey. When the American Affluence Research Center started these surveys in 2002, the wealthiest 10 per cent numbered 10 million households with a minimum $500,000 net worth. There were less than five million households with a minimum $1 million net worth. The new report is based on a national sample of 346 men and women who have an average annual household income of $291,000, an average primary residence value of $1.4 million, an average net worth of $4.1 million, and average investable assets of $2.5 million.